Having a personal health record results in significantly improved quality of medical care and increased use of medical services among patients with serious mental illness, according to the study, “Randomized Trial of an Electronic Personal Health Record for Patients With Serious Mental Illnesses,” published online today in AJP in Advance. Psychiatrist Benjamin Druss, M.D., and colleagues at Emory University randomly assigned 170 individuals with a serious mental disorder and a comorbid medical condition treated in a community mental health center to either a personal health record or usual care. One-year outcomes assessed quality of medical care, service use, and health-related quality of life. Patients in the intervention group used an electronic personal health record called “My Health Record” to facilitate self-management of their illnesses and interactions with the health system. Core features of the record are personal details; diagnoses; goals and action steps; health indicators, including fields for blood pressure, cholesterol, and glucose levels; medications and allergies; hospital visits; immunizations; and health and family health history. Prompts remind patients about routine preventive services. 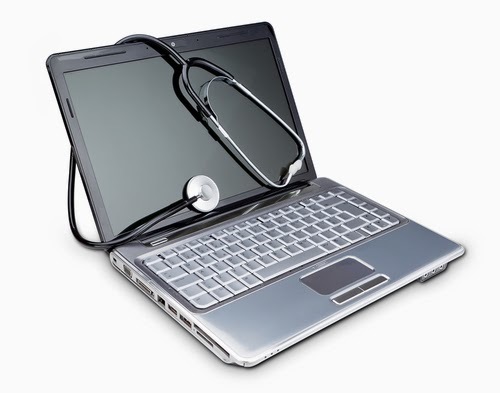 Patients used the personal health record a mean of 42.1 times during the intervention period. In the personal health record group, the total proportion of eligible preventive services received increased from 24% at baseline to 40% at the 12-month follow-up, whereas it declined in the usual-care group from 25% to 18%. In the subset of patients with cardiometabolic conditions (N=118), the total proportion of eligible services received improved by 2% in the personal health record group and declined by 11% in the usual-care group. “This study demonstrated that personal health records hold potential to improve the quality of care among individuals with serious mental illnesses treated in public mental health settings,” Druss and colleagues said. For more information about innovative work Druss is doing to improve quality of care for the serious mentally ill see the Psychiatric News article, "Psychiatrist Focuses on Populations in Health Delivery Services."